Unique talks to customers about the importance of accounting for crucial pool building components such as correct elevation, soil and plumbing and the cost-benefits of taking preventative steps to ensure a long-lasting, problem-free pool. The problem: Soil testing can be an expensive and extensive step, so it’s tempting for builders to skip it in fear that the added time and cost will turn away customers. The majority of pool builders put a clause in their contracts stating that homeowners are responsible for the soil condition on site. 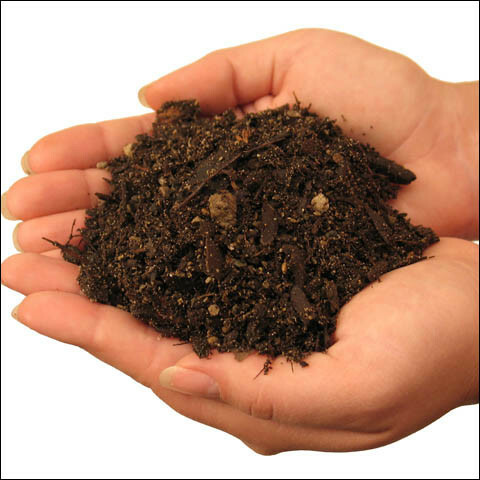 However, the risks involved with not obtaining soil information should not be taken lightly. The pool might crack, float out of the ground or migrate down a slope. 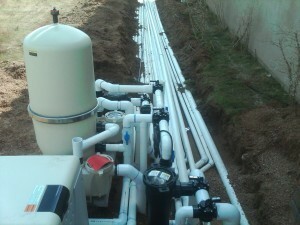 It might leak and flood the home or a neighbor’s yard. Fixing the problem can mean virtually ripping the whole thing out and rebuilding it—an expensive and decidedly unpleasant set of measures. The solution: Don’t take shortcuts. After the pool is excavated, test the dirt using a soil analysis professional, even if it means higher costs. The problem: Problems include improper pump sizing, improper number and placement of skimmers, and faulty sizing and placement of pipes. National consensus standards for pool construction did not exist until 1991, when the American National Standards Institute (ANSI) first approved standards developed by APSP. That means that over the past 40 years, builders and owners were mixing and matching various building standards. 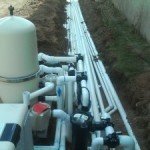 The effects of improper plumbing include poor water circulation and filtration, which can lead to problems such as high electrical and chemical costs and water discoloration. What Is The Safest Way To Protect Your Pool? A swimming pool can be a great source of family fun. But it’s important to make safety a priority to protect children and others in and around the water. A PERMANENT POOL FENCE around you’re pool is the most common and provides the best physical barrier because it completely seals off the pool – permanently. A pool fence is THE most important backup you can have in place to direct supervision of a child near the pool. In fact, most cities require permanent fences around pools at homes where children 6 years old and younger are living. Accepted in all municipality cities for its primary pool barrier ordinance. The pool fence is a permanent structure that’s designed to go around the pool so the pool area is completely isolated from the rest of the house and property when not in use and under supervision. The gate’s ability to spring close itself and LOCK itself is extremely important to a successful system. A gate that does not lock automatically is at severe risk with small children around the house. Just one forgetful person, child or adult, leaving the gate unclosed could result in a drowning incident which makes the pool fence completely useless. 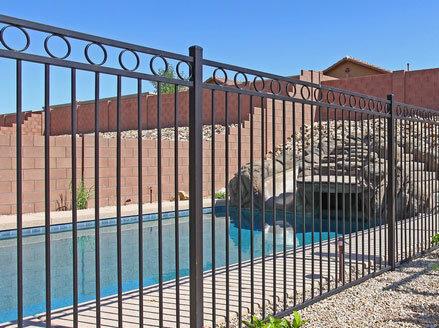 A REMOVABLE POOL FENCE is another good way to provide a physical barrier because it completely encloses the pool but can be taken down when necessary. 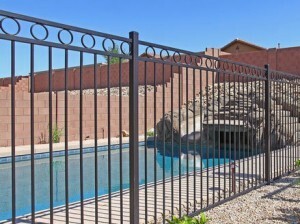 The removable pool fence can be installed quickly and is generally made out of vinyl posts with mesh see-through gates.